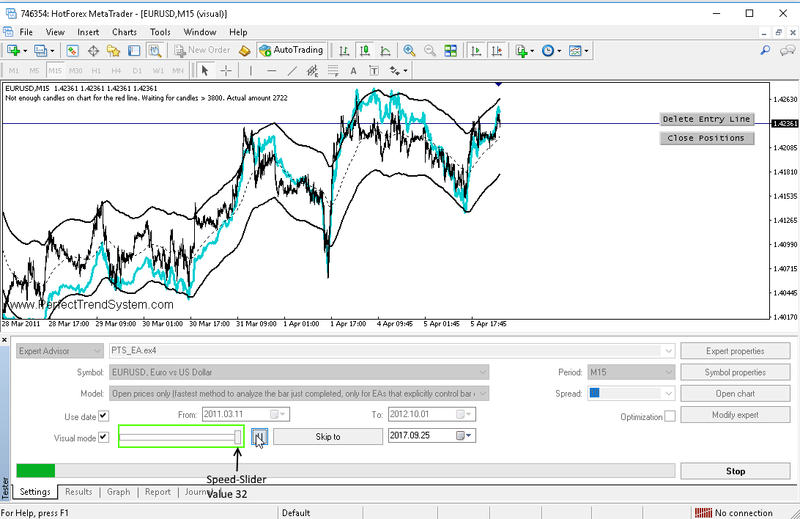 This article explains how you can use the training tool to learn to detect and execute the "Perfect Momentum Setups". 2. Get skilled at executing the trading method through training and grow your confidence! 3. Adapt the trading method to your personality, define your own rule set and get even more confident! 4. Do as much training as you can. Get perfect at executing the trading method with your rule set. 5. Start trading with real money while maintaining your training in your free time. 6. Enjoy being one of the 5% of constantly profitable traders. I know, this sounds as if you have to do some work before you possess the HOLY GRAIL. But the free training tool which I provide in this article can get you there relatively fast. Instead of learning over months or even years on live-charts, with the training tool you can train your skills 1000 times faster. And the best is that you can train at any time during your free time. I'm convinced that everyone can learn the necessary skills to get profitable with the PTS in the training environment. Either with the information which is freely available on this website or with the 1on1 coaching which is the faster way. In fact, I'm so convinced that everyone can learn it that I offer a full money back guarantee for the 1on1-coaching program if you can't make money in the training environment after the coaching. Although I can guarantee that you will be profitable in the training environment after the coaching (or you get your money back) I can't guarantee that you will be directly able to transfer the success to your trading with real money. If real money is at risk, then your psychology can work against your interest (making money). You have to address that problem separately. Now, that this important fact is clarified we can proceed with how you can learn the necessary skills to get successful. As I said before, I'm providing you a free training tool with which you can learn 1000 times faster than with trading on live-charts. 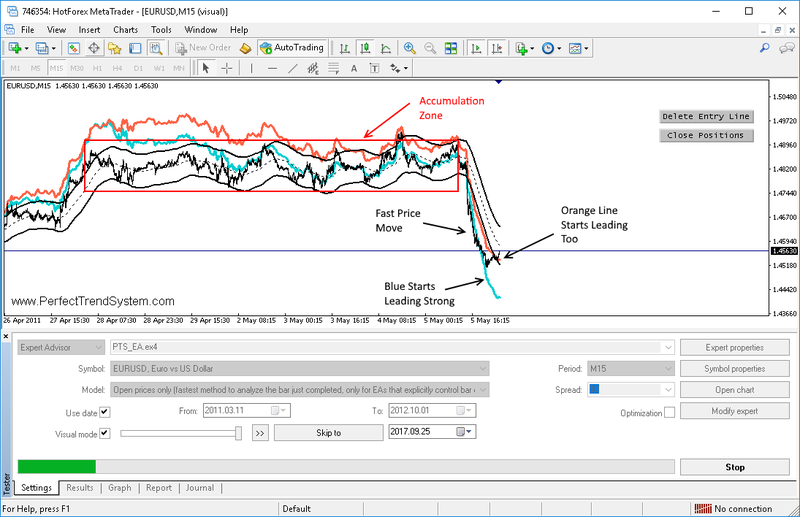 The training tool is a downloadable MT4-Installation with which you can start your training immediately. 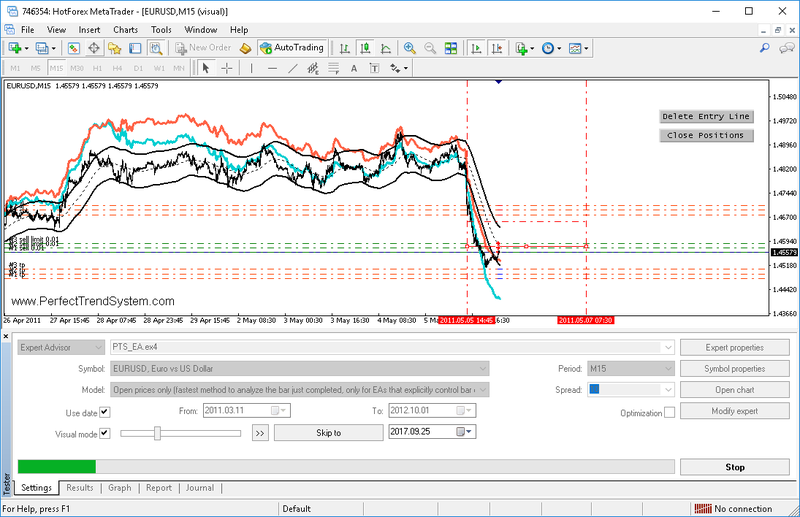 This MT4-Installation contains more than 100 years of candle data from 8 different forex pairs and 6 different timeframes. Thisis more than enough data to learn and to get perfect at executing the PTS. 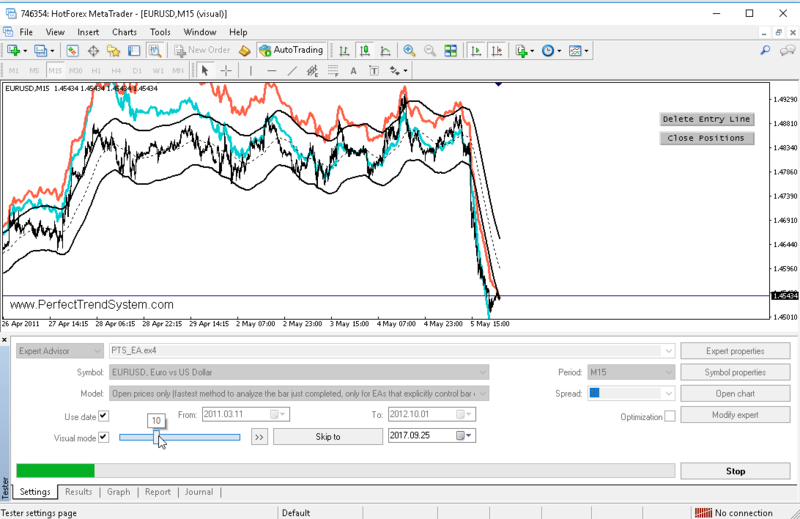 in the Stratey Tester of MT4 and then give the ExpertAdvisor instructions to enter/exit the trades. 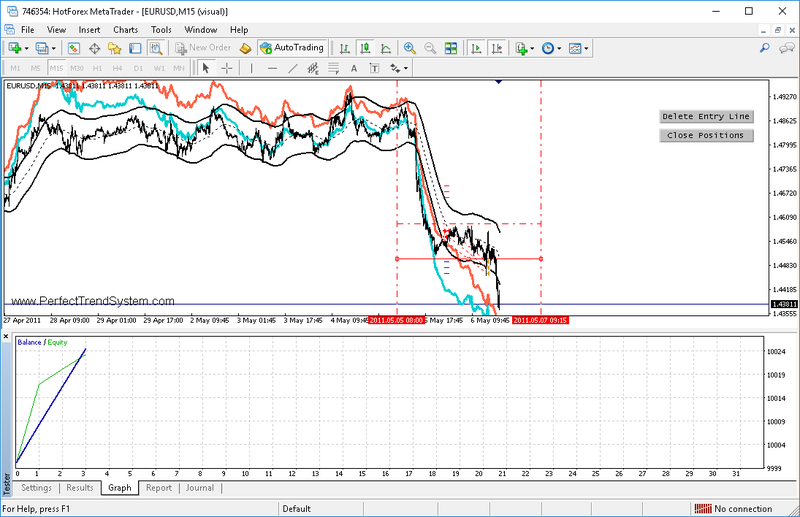 While you do your training you will see that the PTS works on any timeframe (M1 to H4) and on any trading instrument. This shows the robustness of the underlying edge which you exploit with the perfect momentum setups. Fill out the form below and start your training within minutes. Please enter your email! The PTS will be delivered to this address. Yes, I want to receive emails with explanations regarding the tool and the newsletter. You can unsubscribe at any time. First you have to select a trading instrument, a timeframe and the timespan for which you want to do the training session, as shown in following screenshot. The granularity of the model should be "Open price only". Open price only is the best choice because we want to move very fast through the price action until we spot a perfect momentum setup. This model is also exact enough because we enter with limit orders and exit with profit targets. Now the training session is started and you can see that the black band is already drawn. Until now you can't see the blue and orange line on the chart because there are not enough candles on the chart. The blue line needs 1900 and the orange line needs 3800 candles. 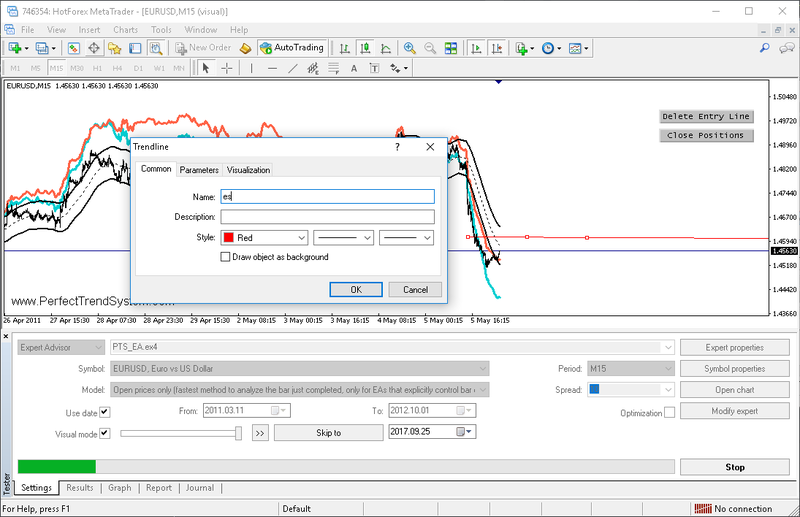 You can move the speed slider to the maximum value 32 until the orange line gets visible. After the orange line gets visible you should reduce the speed to a value at which you are able to pause the strategy tester if you spot the development of a perfect momentum setup before the entry zone is reached so that you get the possibility to enter at the proper time. 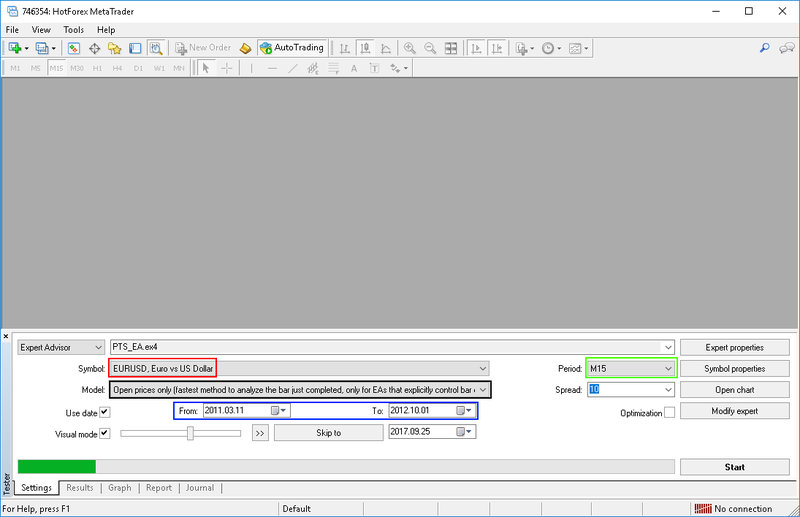 This speed setting depends on the calculation speed of your computer. On my computer I need to reduce the speed to 31 to be able to pause timely. The best setting on your computer can vary. As I said above, in the moment when you spot the development of a perfect momentum setup then you need to pause the Strategy Tester. Then you can evaluate closely if all requirements of a perfect momentum setup are fulfilled (price action of the fast move? lines in position?). I have described the evaluation of a perfect momentum setup in detail in the article "How To Spot..." and "Why A World Class Javelin Throw...". If you decide to take the setup then you can reduce the speed of the strategy tester to a very low value e.g. 10 and resume the Strategy Tester again. The reduced speed gives you the possibility to time your entry exactly. Once you decide that a good entry price level is reached AND the development of the lines are indicating a smooth pullback of the price (blue line moves away from price) then you can stop the strategy tester again. Once the line is drawn you can resume the strategy tester. The ExpertAdvisor does now the entry according to your configuration (The configuration opportunities are explained later in this article). In the standard configuration the ExpertAdvisor enters with 3 partly positions. One position is directly entered and two further positions are placed as limit orders at a better price, as you can see in following screenshot. The stops and targets are placed according to the configuration of the ExpertAdvisor. In the video you can also see that this trade could have been a much bigger winner than the standard target distance of the settings. This brings us to the next point "Trade Handling" and the possibility to intervene into trade. A good starting point when you begin using the PTS could be trading with a fixed target and stop distance which is also the default behavior of the ExpertAdvisor. A fixed target and stop distance means that you don't intervene into the trades. Either the trade gets a winner (target is hit) or a loser (stop is hit). Especially in the beginning you should prefer this simple trading style. You should concentrate only on the proper trade selection and gain absolute confidence that the perfect momentum setups work on any trading instrument and on any timeframe. Intervention into the trades is not necessary to get profitable. The key to success is to select the proper setups. Good setups bring the money. After you got the confidence that the PTS works then you can start intervening into the trades. Your purpose for the intervention during a trade could be a rule set which better fits your personality and/or promises more profits. 1. Move the stop closer to the entry price (or even beyond), once the trade developed into the anticipated direction. While working on your skills with the PTS you will also get a better feeling for the price action which you want to see during a successful trade. 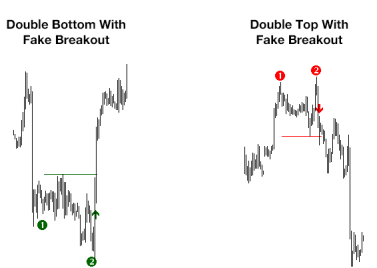 You will also develop a good feeling for the price action when the smart money puts the breaks on an prepares a reversal against the trade direction. 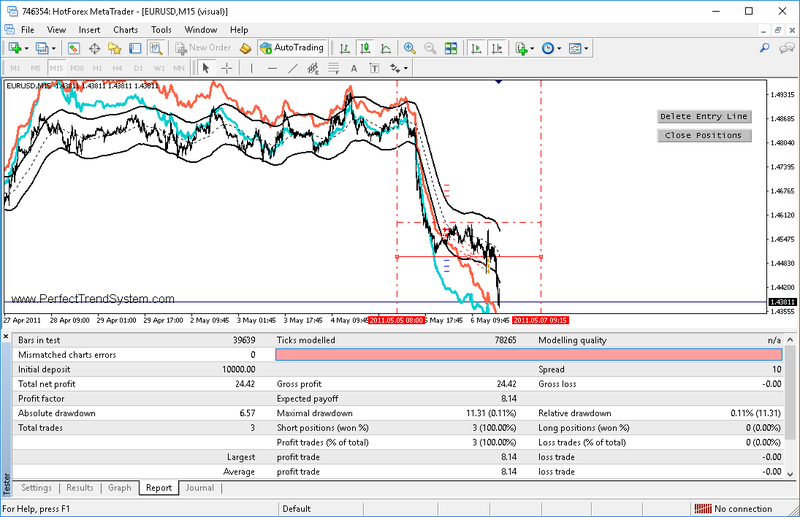 The ExpertAdvisor makes it possible to intervene into the trades, even in the Strategy Tester of Mt4. Following video shows how you can move the stops and targets during a trade. For moving the stops you need to draw a trend line and give it the name "s". For the targets the name of the line must be "t". Please remember to delete the "s" and "t" lines of the previous trade before you enter a new trade. Otherwise the stops and targets are moved to a wrong price level. The ExpertAdvisor has input parameters which define the initial target and stop distance, the amount of partly positions, the size of each partly position and the distance between the entry prices of the partly positions. Expressed in ATR means that the value of the indicator iATR (Average True Range) of the appropriate timeframe is used. The indicator iATR returns an amount of pips which is dependend on the usual price range of the timeframe. 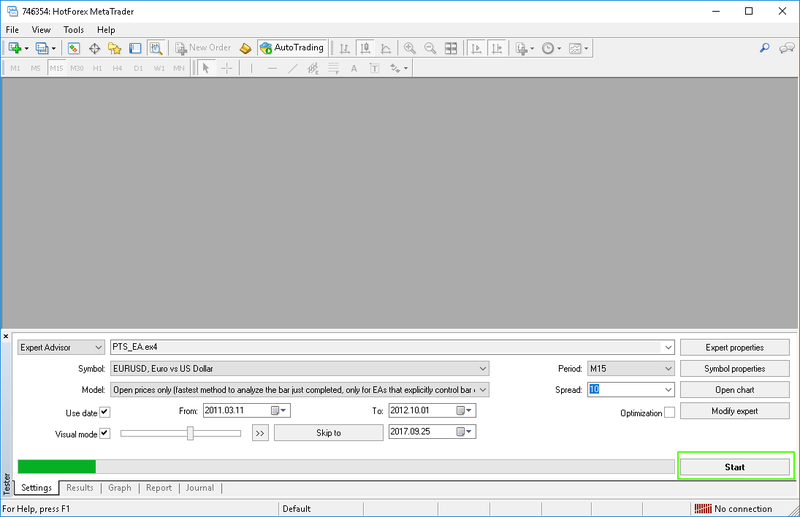 This iATR-values make it possible to define sound target and stop distances for any trading instrument and any timeframe.